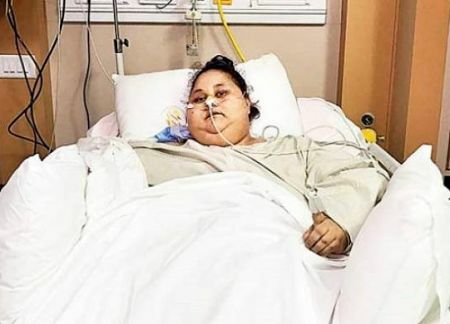 Doctors treating Egyptian national Eman Ahmed have sought an apology from her sibling Shaimaa Selim, who alleged that the hospital authorities used her sister for mere publicity and made false claims about the former’s weight loss. Senior Bharatiya Janata Party leader Shaina N C also came out in support of the demand by the doctors of Saifee hospital, which treated Eman for weight loss. The BJP leader along with Lakdawala and Dr Aparna Bhaskar called on Maharashtra Governor C Vidyasagar Rao on Monday evening to seek an apology from Shaimaa Selim. The Saifee hospital has already made it clear that they would not be charging any fee from Eman’s family. Eman, believed to be world’s heaviest woman, weighed around 500 kg when she was brought to Saifee Hospital in Mumbai in February.